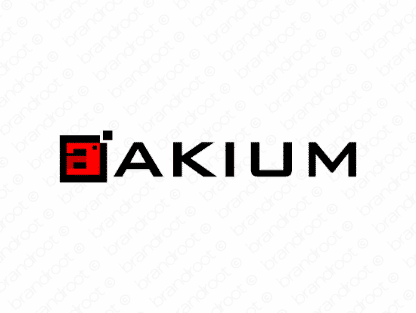 Brand akium is for sale on Brandroot.com! A sleek, angular name with a catchy and memorable sound. Akium is vibrant and versatile, ideal for leading international brands of all kinds from sports and travel to technology businesses. You will have full ownership and rights to Akium.com. One of our professional Brandroot representatives will contact you and walk you through the entire transfer process.